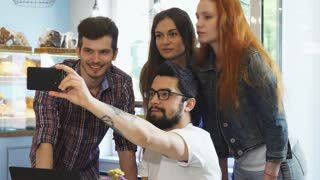 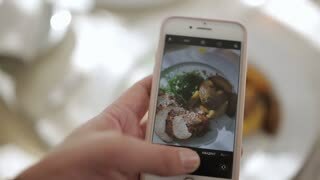 A young millennial takes a picture of her lunch then posts on social media. 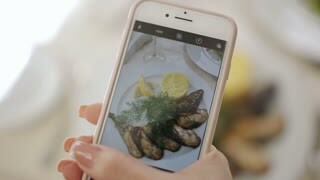 Outside restaurant or cafe location. 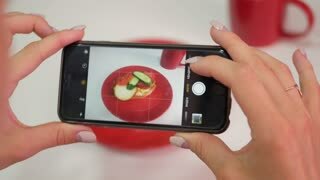 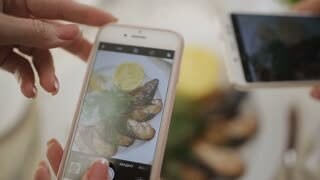 A woman in a restaurant takes a picture of food with a mobile phone camera. 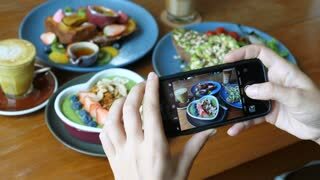 Take a photo of food in a restaurant with mobile phone camera for social network. 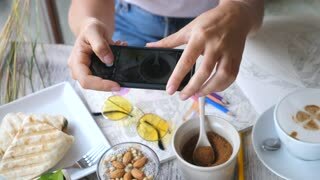 Food Blogger Taking Photo of Breakfast With Smart Phone.